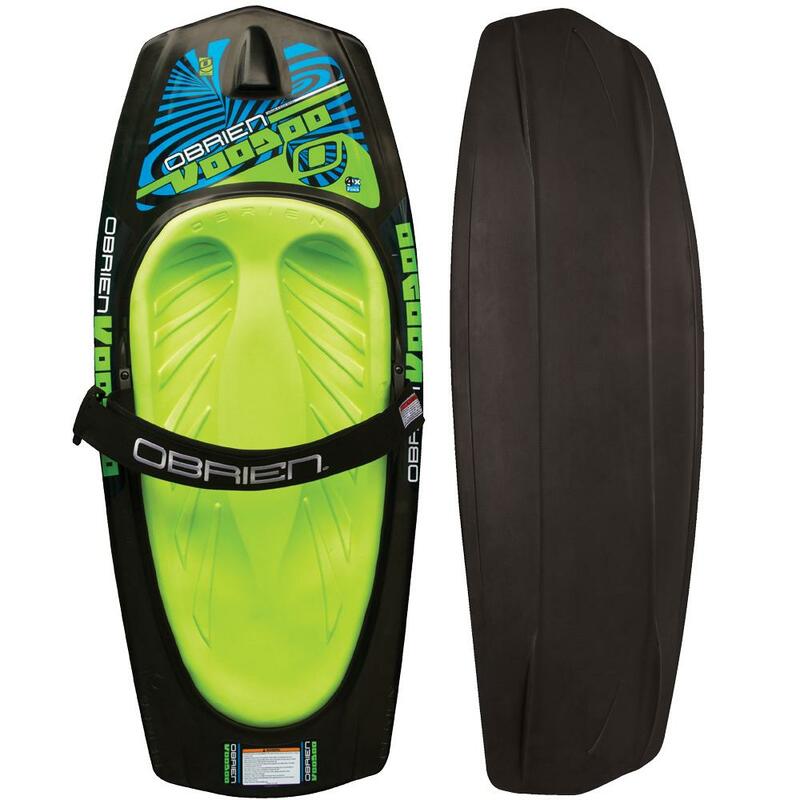 The O'Brien VooDoo Kneeboard is all you need for a fun day on the water. The Variable Bevel edge delivers excellent edge control so you can take full advantage of the four molded-in fins in the base. There is an aquatic hook at the front to make deep-water starts easier, and there is a padded strap to hold you in place on the ¾" EVA knee pad. "would you send to Brazil? How much is weight? what are the measurements of the board?" "You can view our international shipping policy here . The weight of this item in the box is 16lbs. The measurements of the item including the box are 52"X23"X4"." "What is the difference between the O'Brien VooDoo and the Black Magic?" "The O'Brien VooDoo Kneeboard is smaller and would be better suited for kids, smaller riders, and beginners. The O'Brien Black Magic Kneeboard is a bit larger so a wider range of riders can use it. It's also a little bit higher performance as it features retractable fins! "